Countdown to the close of Challenge 8! ssage encrypted with a brand new code then this might give you some idea. 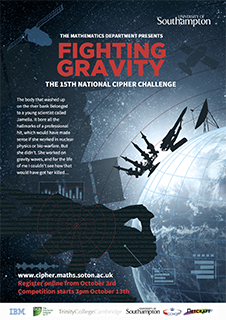 National Cipher Challenge alumnus Julian Bhardwaj wrote a rough guide to computer programming for code breakers which he has kindly allowed us to post here for you. You don’t need to be a world class programmer to do well in the challenge, you can get a long way with a word processor, a spreadsheet and some cunning, but it really helps to automate the routine jobs, and these notes will get you started. (Really, it does!) But what we mean here is that the competition has some rules, and you should probably know about them. We think they are clear, and they are certainly tested by time, but if you have any questions about them do contact us and we will try to get back to you within 24 hours. In the meantime you can read them here.